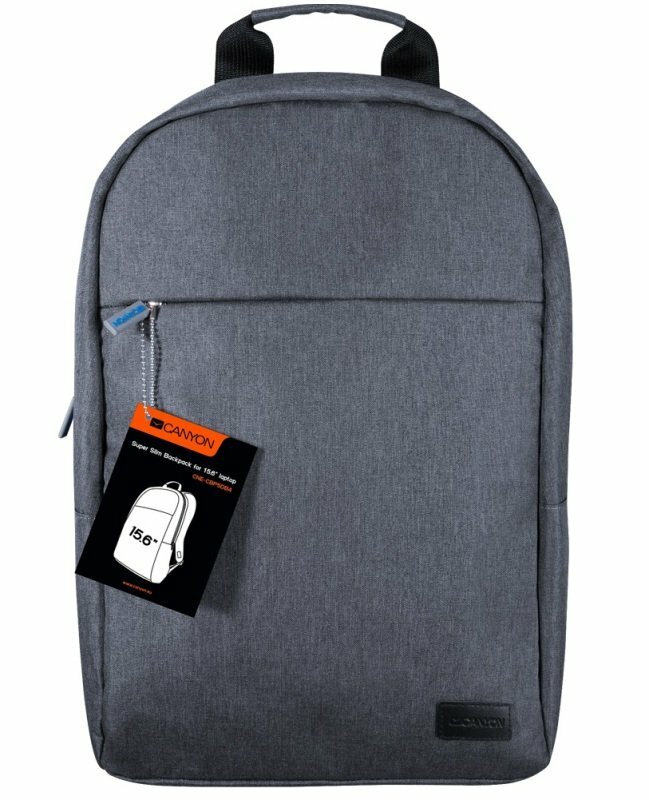 Suitable for laptops up to 15"
Enjoy minimalism, the hottest trend of today, with this slim and light backpack CNE-CBP5DB4 by Canyon! It's not only stylish and ultra thin, but comfortable and practical as well. This backpack is designed for everyday usage - you can carry all the essentials in it: a laptop or a tablet up to 15.6", some papers or a couple of books. It has two small internal compartments, cozy adjustable shoulder straps and soft backside. Made of pleasant-touch polyester materials. Everything you need to take to your office or classes!